Lahore: Fourteen people were killed and more than 70 injured when two Taliban suicide bombers attacked churches in Pakistan’s Lahore on Sunday, sparking mob violence in which two other suspected militants died. Up to 4,000 Christians later took to the streets of the eastern city, many armed with clubs as they smashed vehicles and attacked a city bus station in a rare show of anger by the beleaguered minority. 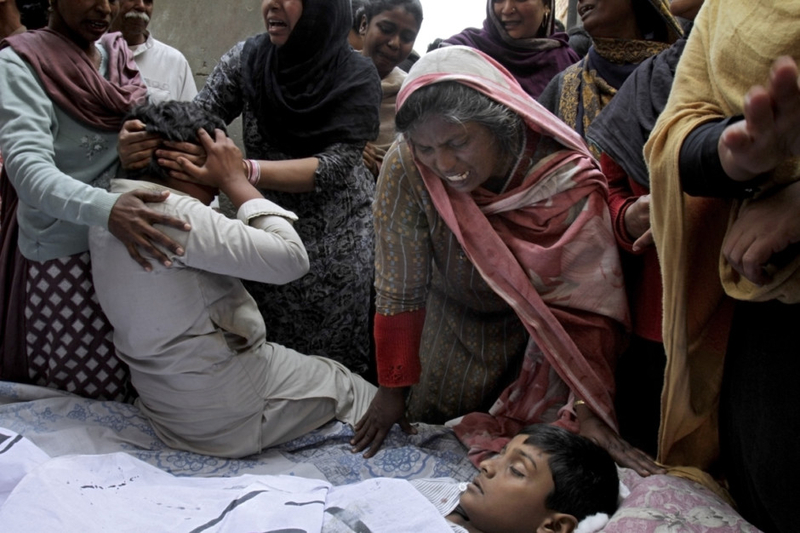 The bombings occurred during prayers at two churches located around half a kilometre apart in the city’s Youhanabad neighbourhood that is home to more than 100,000 Christians, officials said. Doctor Mohammad Saeed Sohbin, medical superintendent of the nearby General Hospital, said: “We have received 14 dead bodies and 70 injured,” adding that the figure did not include the suspected militants who were lynched, or the bombers. Zahid Pervez, the top health official in Lahore, confirmed the death toll and told reporters that 78 people were wounded in both attacks. Broken window panes, blood and shoes were scattered across the blast sites. Police spokeswoman Nabila Ghazanfar said two policemen guarding the churches were among those killed in the attacks, while two people were beaten to death by protesters who took to the streets after the blasts. “Policemen on duty at both the entrances tried to stop them but the bombers blew themselves up,” she said. An AFP photographer saw the bodies of the two suspected militants on fire after the beatings. It was not clear whether they were still alive at the time. The Pakistani Taliban’s Jamaat-ul-Ahrar faction described the blasts as suicide attacks and vowed to continue their campaign for the enforcement of Sharia, in a statement emailed to the media. Christians make up around 2 per cent of Pakistan’s mainly Muslim population of 180 million. They have been targeted in attacks and riots in recent years, often over allegations of profanity regarding the Quran or the Prophet Mohammad (PBUH). Sunday’s attacks were the worst on the community since a devastating double suicide-bombing in the northwestern city of Peshawar in September 2013 killed 82 people. 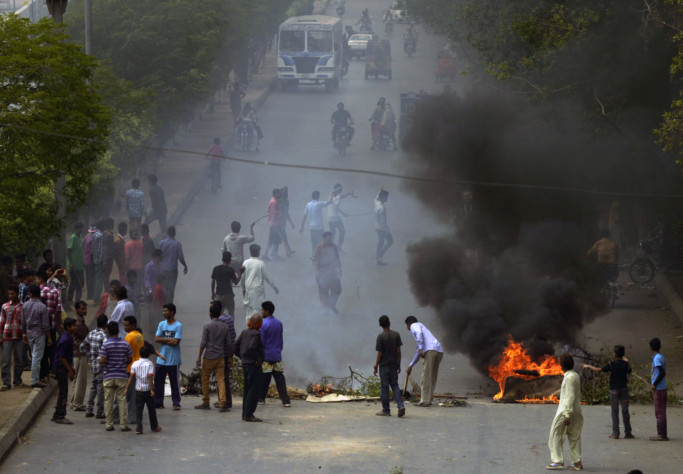 That came months after more than 3,000 Muslim protesters torched some 100 houses as they rampaged through Joseph Colony, another Christian neighbourhood of Lahore, following blasphemy allegations against a Christian man. The thousands of Christian protesters who clashed with police on Sunday attacked their cars with stones and sticks, as women wept and beat their heads and chests. The protesters, some wearing crosses round their necks, later turned on the city’s bus rapid transit system — a signature project of the ruling PML-N party of Prime Minister Nawaz Sharif. Sharif, in a statement, condemned the church bombings and “directed provincial governments to ensure the security of [the] public and their properties”. Zaeem Qadri, a spokesman for the provincial government, said efforts were being made to talk to the protesters to stop the rioting but “emotions are very high because their churches have been attacked”. 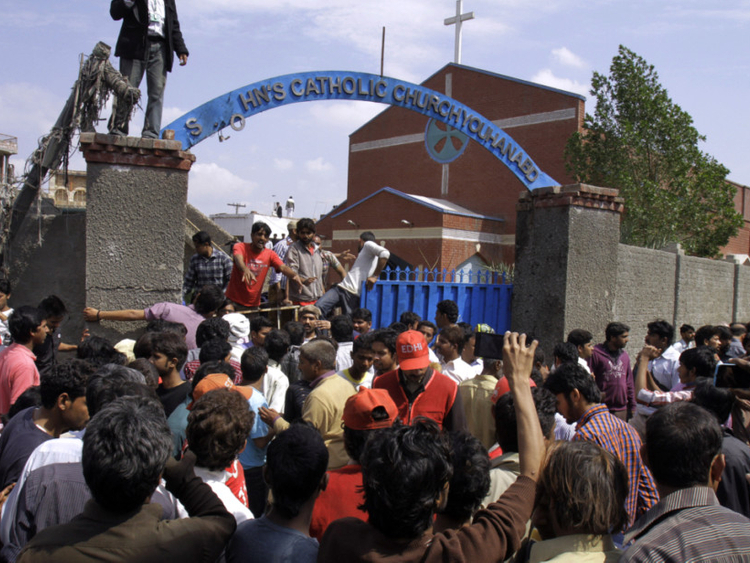 Christians also took to the streets in other cities, including Pakistan’s largest city Karachi, where around 200 protesters blocked a main road and burnt tyres. There were also demonstrations in Peshawar in the northwest, in the central city of Multan and in Quetta in the southwest. Sunday’s attack was the first by the Taliban since three of their major factions said on Thursday they had reunited. Pakistan’s military has stepped up its fight against militants since Taliban gunmen massacred more than 150 people, most of them children, at a school in Peshawar in December. A moratorium on executions in terror cases was lifted and the constitution amended to set up military courts for the speedy trial of terrorism cases. Later, the death penalty was reinstated for all capital cases.